Name Variation Michael P. McDonough was also known as Mike. Michael P. McDonough was born on 8 July 1945 at Reedsburg, Sauk, Wisconsin. He was the son of Vivian Paul McDonough and Lucie Ann Godden. Michael P. McDonough died on 17 July 2010 at LaValle, Sauk, Wisconsin, at age 65 Michael P McDonough, 65, of LaValle and the Lime ridge area, died on Saturday, July 17, 2010 in his home following a five year battle with cancer. He was born on July 8, 1945 in Reedsburg, the son of Vivian "Pat" and Lucie (Godden) McDonough. 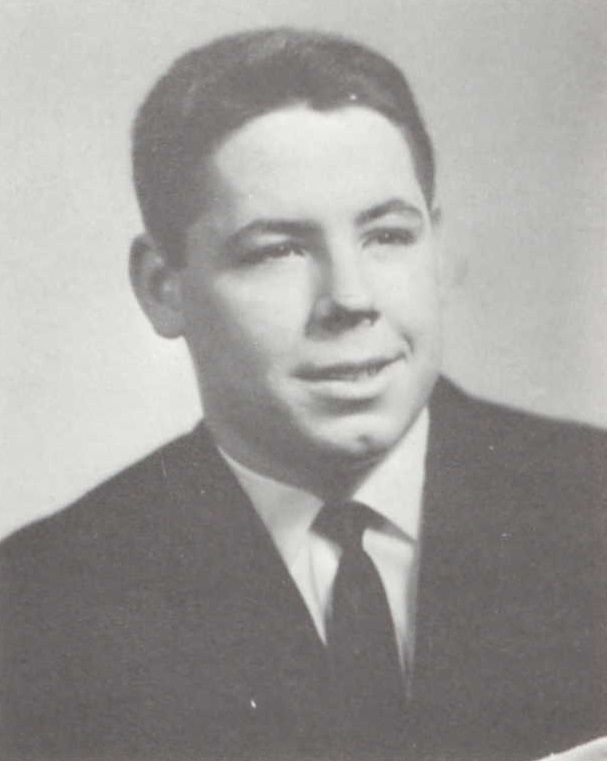 Mike was a 1963 graduate of Webb High School in Reedsburg. On Jan 21, 1977, he married Nancy I Scott. Mike will be most recently remembered as the owner of Countryside Marine in LaValle. He enjoyed taking several winter trips to Texas. He was preceded in death by his parents; a brother, Larry McDonough; his father-in-law, Robert Scott; and a brother-in-law, Jim Whiteford. Survivors include his wife, Nancy; four sons, Matthew of Baraboo, Ryan (Jessica Gross) of Ironton, Scott (Kayla Turgeon) of Reedsburg and Shaun (Jill Mortimer) of LaValle; two grandchildren, Aden and Dezlynn; two sisters, Patti (Bob) Kessler of Reedsburg and Peggy McDonough-Whiteford of Aurora, CO; a brother, Jody (Rebecca) of Waunakee; his mother-in-law, Dorothy Scott of Reedsburg; two sisters-in-law, Shirley McDonough of Reedsburg and Alice McDonough of Auburn, WA; a brother-in-law, Donald (Bunni) Scott of lake Delton; nieces and nephews; and other relatives and friends. In honoring Mike's wished, no services will be held. He would prefer that you remember him as you knew him. Michael P. McDonough graduated in 1963 at Webb High School, Reedsburg, Sauk, Wisconsin. Walter Frederick Radke was born on 14 February 1909. He married Lydia B. Soltwedel, daughter of August Frederich Soltwedel and Anna B. Schrank, in 1935. Walter Frederick Radke died on 21 October 1984 at Loganville, Sauk, Wisconsin, at age 75. Ival Carl Schellenberger was born on 22 April 1923. He was the son of Carl Schellenberger and Hildegard Finger. Ival Carl Schellenberger married LaVeta Marie Soltwedel, daughter of August Frederich Soltwedel and Anna B. Schrank, on 28 September 1951. Ival Carl Schellenberger died on 21 June 2008 at age 85 Ival Carl Schellenberger, age 85 of North Freedom, passed away in the early morning of June 21, 2008, at St. Clare Meadows Care Center in Baraboo following a brief illness. He was born April 22, 1923, to Carl and Hildegard (Finger) Schellenberger on the family farm in Baraboo Township. Ival lived and farmed on the family homestead throughout his entire life. He had a great respect for the land. Ival married LaVeta Marie Soltwedel on Sept. 28, 1951, at St. Peter's Lutheran Church in Loganville. LaVeta passed away in 1995. He enjoyed his family, farming and was especially thankful for the many neighbors and friends who stopped and visited him through the years. Ival is survived by his four children, William (Alice) Schellenberger, Joyce (Roger) Deal, Dean (Marthie) Schellenberger and Judy (Roger) Cormican; special extended family, Gary and Brenda Bosgraaf, all of Baraboo; sisters-in-law, Anna Schellenberger of Baraboo and Dorothy Scott of Loganville; cousins, Clarence and Myra Schellenberger of Baraboo; grandchildren, Ronald, Andrew, Jennifer, Dana and Bradley; great-grandchildren, Amber, Jordan and Bradyn; special friend, LaVera Miller of Kendall; and nieces, nephews, neighbors and many friends. He was preceded in death by his wife, LaVeta; his parents; his brother, Ray; his sister and brother-in-law, Eileen and Rodney Barrow. In adherence with Ival's wishes, a private family graveside service will be held. Burial will be at the Oak Hill Cemetery in North Freedom. The family is requesting that no flowers be sent, but that anyone interested should make a donation to St. Vincent de Paul of Baraboo or the Salvation Army. The family wishes to extend special thank yous to Dr. Tim Bartholow, Dr. Diana Kruse, and the staff of Sauk Prairie Memorial Hospital; Dr. Eric Hamburg, and the staff of St. Clare Meadows Care Center for their care of Ival the past few months. Thank you also to the Redlin Funeral Home for assisting the family. Isaac Farwell married Prudence Allen. Prudence Allen married Isaac Farwell. Phillip Earnest Setterlund was born on 5 March 1929. He married Mary Jane Abraham, daughter of Arvid Albin Abraham and Bea J. Horsman, on 5 January 1980 at Reno, Nevada. Phillip Earnest Setterlund died on 17 November 2008 at age 79 A memorial service will be at 11 a.m. Saturday, Nov. 22, 2008, in Gresham Memorial Chapel for Phillip Earnest Setterlund, who died Nov. 17 at age 79. Phillip earnest Setterlund was born March 5, 1929, in Portland, and raised in Montana and Portland. He served in the Navy for 19 years. He was a farrier and managed and bartended St. Helens, Gateway and Gresham Elks lodges. He also owned bars and restaurants in La Grande and Terrebonne before retiring to Troutdale in 2003. In 1980, he married Mary Jane Phillips; she died in 2007. Survivors include his daughters, Sherry and Cindy; sons, Rodney and Phillip; sister, Sharon; eight grandchildren; and three great-grandchildren. Remembrances to the Oregon Humane Society. Phillip Earnest Setterlund obtained US Social Security Card at Montana; last residence Troutdale, Multnomah, Oregon. Edward Strzywski was born circa 1918. William S. Reese was born on 29 April 1934. He was the son of Stanley Floyd Reese and Juanita M. Halvensleben. William S. Reese died on 27 January 1980 at age 45. Name Variation Wilhemina Halvensleben was also known as Minnie. Wilhemina Halvensleben was the daughter of John Cristof August Halvensleben and Dorothea Bodendick. Freida Halvensleben was the daughter of John Cristof August Halvensleben and Dorothea Bodendick. Harold Ernest Halvensleben was born on 25 August 1930. He was the son of Ernest Halvensleben and Ella Lichte. Harold Ernest Halvensleben died on 14 June 2017 at age 86 Harold Ernest Halvensleben, age 86 of Janesville, passed away on Wednesday, June 14, 2017. He was born on August 25, 1930, in Reedsburg, the son of Ernest Halvensleben and Ella Reineke. Harold grew up on a farm, in the town of Winfield, Reedsburg, Wisconsin. Harold married Virginia Schenck on October 20, 1952 in Reedsburg, Wisconsin and they have celebrated sixty four years together. Harold worked at Wisconsin Dairies in Reedsburg, Wisconsin, for seven years and then moved to the Evansville/Janesville area in 1959, where he farmed until his retirement. He enjoyed the agricultural work and tinkering, making anything work with a pair of pliers, baler twine and wire. He enjoyed having horses and other animals on the farm throughout his life. He is survived by his wife, Virginia, his children, Jean Beeler, Susan Leffelman (Dennis), Donna Welch (John), Denise Wellnitz (Randall), Michael Halvensleben (Denise), Thomas Halvensleben (Barbara), 14 grandchildren, 15 great grandchildren, and a great, great grandchild. His surviving siblings are Robert Halvensleben (Gloria), Reta Thies (Ivan), Gary Halvensleben, and Ronald Halvensleben (Sue). He has proceeded in death by LaVonna Olson and Elderene Hasz. Funeral Services will be held at 11:00 AM on Monday June 19, 2017 at St. John’s Lutheran Church, on Third Street in Evansville, Wisconsin with Reverend George Carlson officiating. A visitation will be held from 9:00 AM until the time of service on June 19, 2017 at church. Ward-Hurtley Funeral Home is handling arrangements. Daniel Cutter was born circa 1794 at New York. He married Charlotte Winchell before 1822 at second marriage for her. Daniel Cutter died before November 1870. Free White Persons - Females - 40 thru 49: 1. [S249] U.S. Federal Census 1850 U.S. Federal Census, by Ancestry.com, Year: 1850; Census Place: Somerset, Niagara, New York; Roll: M432_561; Page: 356B; Image: 211. [S248] U.S. Federal Census 1860 U.S. Federal Census, by Ancestry.com, Year: 1860; Census Place: Somerset, Niagara, New York; Roll: M653_822; Page: 434; Image: 443; Family History Library Film: 803822. Name Variation Eliza Jane Gallop was also known as Jane. Married Name before 1832 As of before 1832,her married name was Karr. Married Name before 1832 As of before 1832,her married name was Carr. Eliza Jane Gallop was born circa 1809 at Washington, New York, also reported as circa 1813. She was the daughter of Benjamin Gallop and Charlotte Winchell. Eliza Jane Gallop married David Karr before 1832. Eliza Jane Gallop died on 10 July 1884 at Michigan. [S249] U.S. Federal Census 1850 U.S. Federal Census, by Ancestry.com, Year: 1850; Census Place: Hartland, Niagara, New York; Roll: M432_561; Page: 308B; Image: 116. Name Variation David Karr was also known as Carr. David Karr was born circa 1807 at Canada. He married Eliza Jane Gallop, daughter of Benjamin Gallop and Charlotte Winchell, before 1832. David Karr died on 24 November 1881 at Michigan. Married Name before 1834 As of before 1834,her married name was Thompson. Abby Gallop was born circa 1813 at Washington, New York. Abby Gallop married Hiram Thompson before 1834. Abby Gallop died on 29 December 1858 at New York. Free White Persons - Females - 20 thru 29: 1. [S249] U.S. Federal Census 1850 U.S. Federal Census, by Ancestry.com, Year: 1850; Census Place: Lewiston, Niagara, New York; Roll: M432_561; Page: 421B; Image: 343. Hiram Thompson was born circa 1806 at New York. He married Abby Gallop, daughter of Benjamin Gallop and Charlotte Winchell, before 1834. Hiram Thompson married Margaret (?) circa 1859. Hiram Thompson died after June 1880. [S248] U.S. Federal Census 1860 U.S. Federal Census, by Ancestry.com, Year: 1860; Census Place: Somerset, Niagara, New York; Roll: M653_822; Page: 446; Image: 455; Family History Library Film: 803822. [S247] U.S. Federal Census 1870 U.S. Federal Census, by Ancestry.com, Year: 1870; Census Place: Hartland, Niagara, New York; Roll: M593_1054; Page: 49B; Image: 103; Family History Library Film: 552553. Married Name before 1841 As of before 1841,her married name was Martin. Married Name before 1869 As of before 1869,her married name was Hogle. Samantha Cutter was born circa 1822 at Washington, New York. She was the daughter of Daniel Cutter and Charlotte Winchell. Samantha Cutter married Alexander Martin before 1841 at first marriage for her. Samantha Cutter married Albert Hogle before 1869 at second marriage for her, Detroit, Michigan. [S249] U.S. Federal Census 1850 U.S. Federal Census, by Ancestry.com, Year: 1850; Census Place: Lewiston, Niagara, New York; Roll: M432_561; Page: 410B; Image: 321. [S248] U.S. Federal Census 1860 U.S. Federal Census, by Ancestry.com, Year: 1860; Census Place: Lewiston, Niagara, New York; Roll: M653_823; Page: 636; Image: 65; Family History Library Film: 803823. Albert Hogle married Samantha Cutter, daughter of Daniel Cutter and Charlotte Winchell, before 1869 at second marriage for her, Detroit, Michigan. Married Name before 1846 As of before 1846,her married name was Ward. Elizabeth Cutter was born on 19 March 1824 at Utica, New York. Elizabeth Cutter married Jabez Ward before 1846. Elizabeth Cutter died in 1908 at New York. [S247] U.S. Federal Census 1870 U.S. Federal Census, by Ancestry.com, Year: 1870; Census Place: Somerset, Niagara, New York; Roll: M593_1055; Page: 564B; Image: 521; Family History Library Film: 552554. Jabez Ward was born circa 1820 at England. He married Elizabeth Cutter, daughter of Daniel Cutter and Charlotte Winchell, before 1846. James Cutter was born circa 1837 at Ontario, Canada, also reported as New York. He was the son of Daniel Cutter and Charlotte Winchell. James Cutter married Sarah H. Mosher on 7 October 1856. Married Name 7 October 1856 As of 7 October 1856,her married name was Cutter. Married Name 7 October 1856 As of 7 October 1856,her married name was Gallop. Sarah H. Mosher was born circa 1836 at Ontario, Canada. She married James Cutter, son of Daniel Cutter and Charlotte Winchell, on 7 October 1856. Mandana Ward was born circa 1846 at New York. She was the daughter of Jabez Ward and Elizabeth Cutter. Name Variation Jabez H. Ward was also known as Julia. Jabez H. Ward was born circa 1849 at New York. Ira Ward was born circa 1851 at New York. He was the son of Jabez Ward and Elizabeth Cutter. Cecelia Cutter was born circa 1858 at Ontario, Canada. She was the daughter of James Cutter and Sarah H. Mosher. Willametta Cutter was born circa 1862 at Ontario, Canada. Name Variation Belellium Cutter was also known as . Belellium Cutter was born circa 1864 at New York. He was the son of James Cutter and Sarah H. Mosher. Willard Cutter was born in August 1869 at New York. Charlotte Karr was born circa 1832 at Canada. She was the daughter of David Karr and Eliza Jane Gallop.